The New York Times has conquered the podcasting world with "The Daily." Now it wants to crack television with a weekly news program. The Times is seeking an executive producer for the series, according to a job listing. And The Times is holding talks with streaming services and premium cable channels about a potential distribution deal, according to Sam Dolnick, the assistant managing editor who is overseeing new digital initiatives at the news outlet. "We're hoping" the untitled series "becomes a showcase for the most ambitious visual journalism of The Times," Dolnick said. A production company, Left/Right, is already on board. It has created several segments as tests. The job listing mentions Left/Right and provides several other indications that this is an ambitious venture for The Times. It says the series "will include groundbreaking investigations, on-the-ground reporting, agenda-setting interviews and new formats yet to be invented." Dolnick said Times editors are discussing a once-a-week program, about 30 minutes long, although the length could vary. The series will feature Times journalists at work and in the field. "The Times has the big experts, so we're going to showcase them," he said. The series could unlock a new source of revenue for the news organization, which is increasingly seeking subscriptions to offset declines in its advertising business. While Dolnick declined to comment on any specific distribution talks, a streaming service or cable channel would pay a fee to The Times for the rights to the series. Other news operations without a TV arm have also sought similar opportunities. Vox Media has been selling shows to distributors. BuzzFeed has been striking deals with production companies. And Vice has two news and documentary programs on HBO. 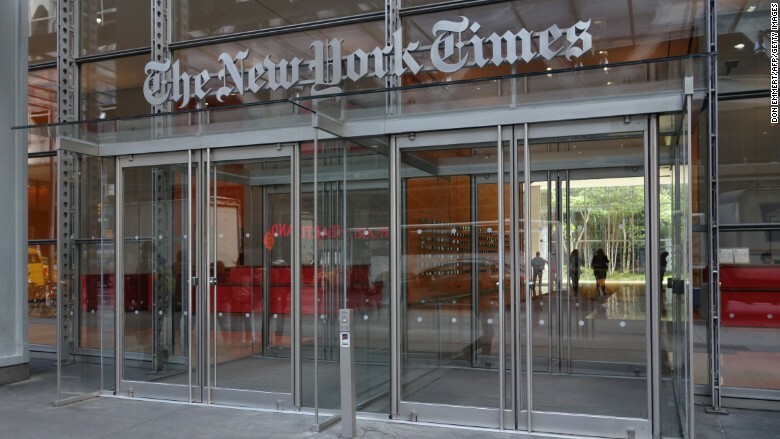 The Times idea is somewhat different, partly because it comes from a print newsroom. The series is envisioned to be a weekly look at important news stories through the eyes of Times journalists. The job listing for an "editor/executive producer" of the series says that the producers "will have access to every corner of our organization." That's the same idea that drives "The Daily," a twenty-minute-long podcast that was introduced one year ago. Hosted by Michael Barbaro, the program comes out on weekday mornings and provides a unique perspective about a story in the news. Dolnick hired the leaders of the Times' audio department, and said "we think that's a blueprint for much of the work to come."